How car cleaning is helpful? 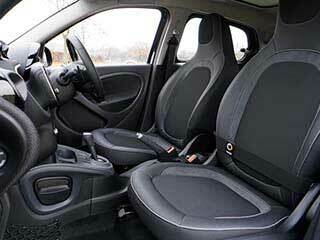 Car interior should be clean because it affects your health also. When you need to travel a long journey or plan out for a vacation, your car interior should be clean and healthy. Interiors also consist of electrical circuits hence extra care should be taken while cleaning. We at Oz cleaning services provide you customize cleaning services as per various car interiors. Our staffs are trained to clean car interiors and use different methodologies as per need. Cleaning of the floor mats where the dust is in large quantity. Small and minute dust particles which are there in our shoes are spotted all over the floor mat. Using the best tools and cleaning materials we would clean your car interiors thoroughly. If you would not clean car interiors at regular interval then you might feel a stinky odour in your car always. Some harmful virus or bacteria may reside in your car’s AC. Thus in order to avoid such harmful stuff and stay fit and healthy car interior cleaning services Melbourne provided by Oz cleaning solutions should be taken into consideration. We do in-depth cleaning of fabrics and foot mats with hot water and also sanitize it. Cleaning any stains related to spills of coffee, milk etc. Use soft brush in order to do basic cleaning and total care of fabric is taken like floor mate, fabric or leather seat, boot etc. Later on we sanitize it and make your car interior fresh and germ free. Why Hire Oz cleaning solutions? Our staffs are proficiently trained and have expert knowledge on different kind of car interiors. We adapt unique methodologies as per the interior of car. For special interior such as leather we use superior quality solution for cleaning purpose. Keep your car clean on monthly or quarterly basis. We assure that cleaning would definitely increase the lifespan of your car and also keep you healthy. Make your car re-born by choosing us to assist you with cleaning services.